305 people in our community are currently praying with you. Our “Virtual Sunday Church” this week takes us to a Mennonite service in Ohio. If you like to sing harmony, here’s your chance! O Lord, I beseech you mercifully to hear my prayers, and the prayers of all your people who call upon you; and grant that we may both perceive and know what things we ought to do, and also may have grace and power faithfully to fulfill them; through Jesus Christ your Son our Lord, who is alive and reigns with you, in the unity of the Holy Spirit, one God, now and forever. God of every nation and people, from the beginning of Creation you have made known your love through the gift of your Son, who bears the name Emmanuel, “God with Us.” In the fullness of time the Christ-child came to be the Good News to all who would receive him. Grant that I may remember every day the blessing that this season represents, to me personally and to all Christians throughout the world; and especially, to those who have not yet received the Word, but may find Christ in the future. Thank you, Lord, for your great blessing to us all. Heavenly God, you are the King eternal, immortal and invisible. Before the mountains were brought forth, or ever you had formed the earth and the world, from everlasting to everlasting you are God; the same yesterday, today, and forever. In times long past did you lay the foundation of the earth, and the heavens are the work of your hands: Yet they will perish, but you will endure; yes, all of them will grow old like a garment, as a coat you will change them, and they will be changed; but you are the same, and your years will have no end. You alone are God, and do not change; and because of this, we may hope to be preserved. Are you not from eternity, O Lord our God, our Holy One? The everlasting God, even the Lord, the Creator of the ends of the earth, who does not faint nor grow weary? There is no searching out your understanding, mighty Lord, but by our praise we may glorify your Holy Name, now and all our lives. Now unto the King eternal, immortal, invisible, the only wise God, be honor and glory for ever and ever. 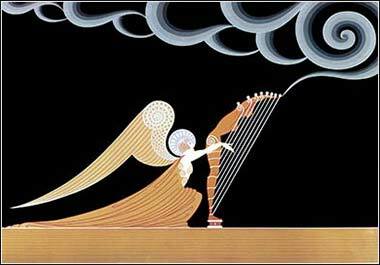 The Angel by the distinctive Art Deco designer Erté (Romain de Tirtoff), ca. 1930. We are in the season of feasting. Most of us spend the weeks from Thanksgiving through New Years eating lots of great food, and we shouldn't be surprised to learn that we didn't invent the idea. The idea of combining a celebration with a great meal extends until the earliest days of history, and most likely, before. We certainly see lots of feasting in the Bible. But Isaiah, of course, is a prophet and a poet, and when he mentions the feast that God will prepare in today's Scripture, he means it to symbolize a specific idea: Salvation. And not just Isaiah; the greatest feast in Christian life is the Lord’s Supper, or Communion, or Holy Eucharist — despite their differences, just about every denomination celebrates the Last Supper, because Christ commanded us to do so. One characteristic of mountains that we learn quickly enough: it's hard to climb up to the top. The mountain of God's feast is even worse; it is impossible to climb. We cannot get there using our own power. Notice that in the cite from Revelation, the speaker is carried by a Spirit. Just so, we cannot attain salvation using our own power. It is only the grace and forgiveness of Christ that will enable us to reach the top. Isaiah, more than any of the other prophets, predicted the coming of Christ, and prophesied much about his birth. 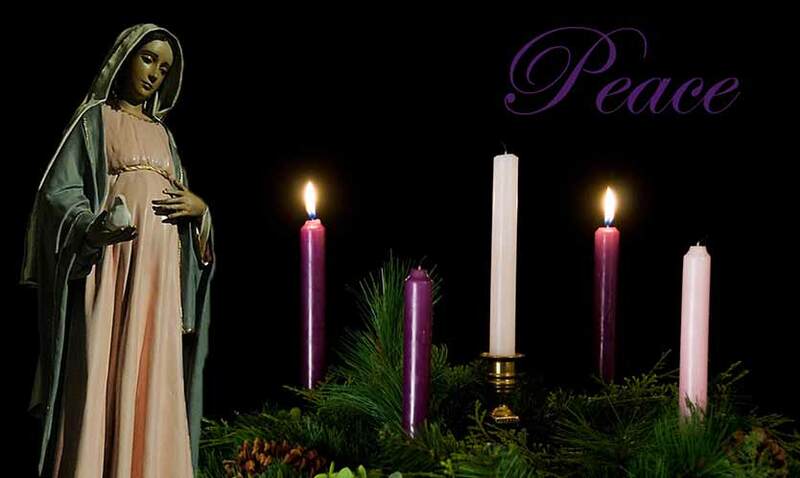 Other prophets, as well, predicted the birth of Christ, and it is to these prophecies that we often look during Advent. But Isaiah looks much farther ahead in this passage, to the day when Christ's sacrifice and resurrection should be fulfilled by His return. For this is the Holy City of the Kingdom of God, where Christ will prove his victory over death. So let us prepare our Christmas feast with every joy and hope for eternal happiness. 1 Thess. 4:3: This is the will of God, that you be sanctified.